This is a rectangular Stop This Killing porcelain sign. This particular Stop This Killing sign is white with red and blue text. 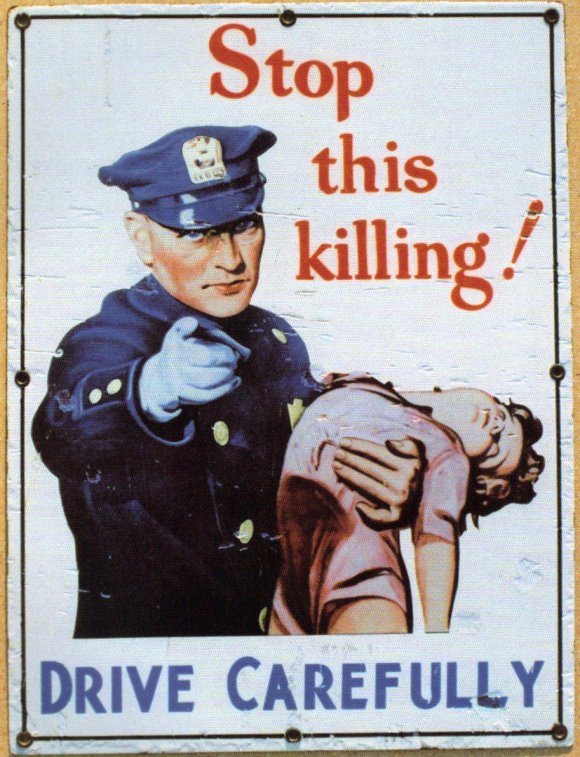 It reads, “Stop This Killing! Drive Carefully” and features a policeman dressed in a blue uniform holding a small child dressed in pink in the center of the sign.